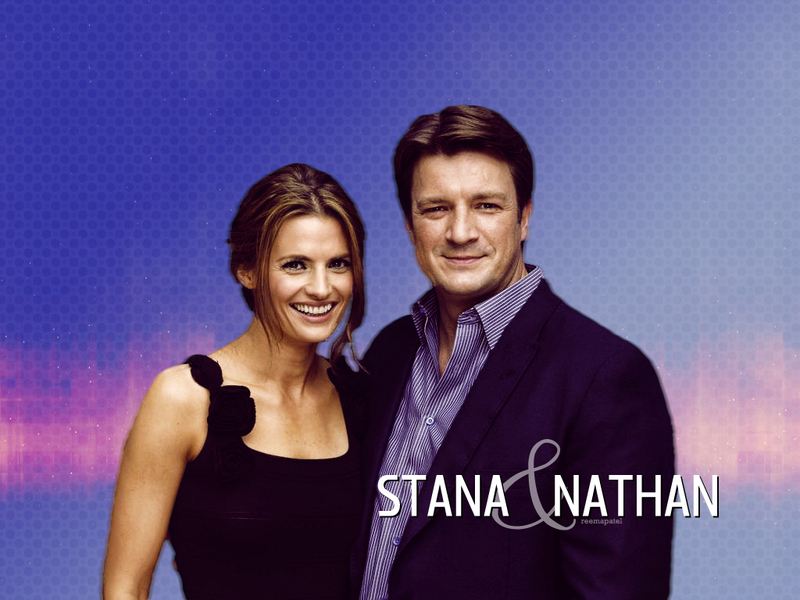 Nathan & Stana. . HD Wallpaper and background images in the 城堡 club tagged: castle stana katic nathan fillion stanathan hollywood foreign press association press conference 2011 wallpaper livejournal. This 城堡 wallpaper contains 肖像, 爆头, 特写镜头, 特写, and 爆头特写. There might also be 精心打扮的人, 西装, 裤套装, 裤装, 穿着好衣服的人, 裤子套装, 穿得好的人, and 套装.